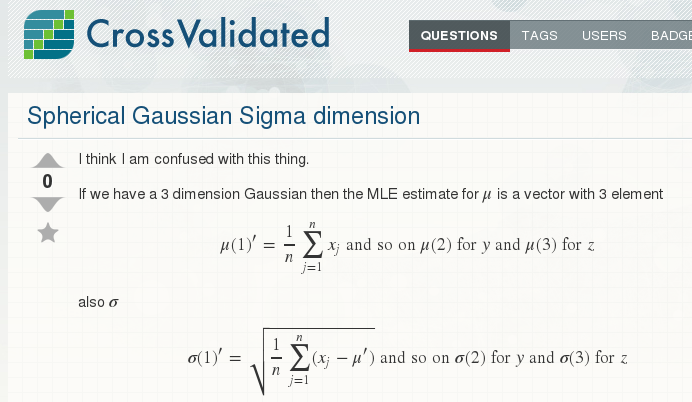 Notice in particular the really ugly square root sign on Maths. FWIW: I know that this is definitely browser dependent. The screenshots below are taken with IceWeasel 10 on Debian. Using Epithany I see a different defect on the square root symbol, which occurs for both the Maths and the CrossValidated versions (in other words, both appear broken the same way). 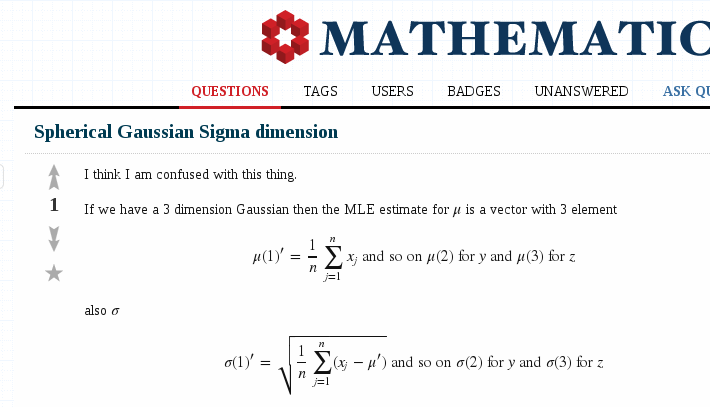 MathJax seems to have a problem rendering that particular radical at particular font sizes. Not the answer you're looking for? 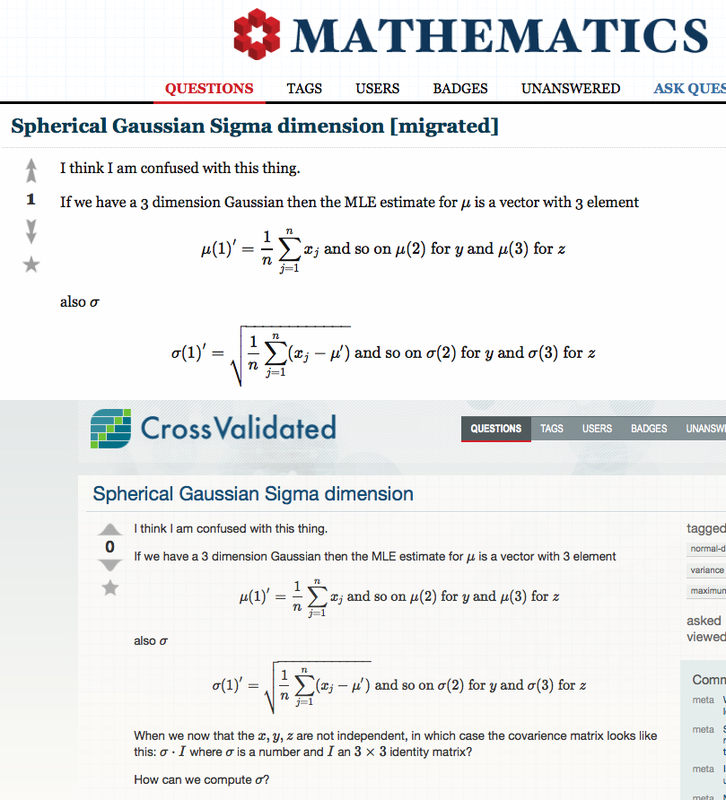 Browse other questions tagged support bug mathjax .